He writes poetry, short stories, essays and journalism. He writes haiku, senriu, renga which he publishes occasionally in the micro blogosphere twitter, but once published in London by Yoko Ono as well. His work so far has been present and translated in several anthologies, collections and journals for literature and art in India, Pakistan, Philippines, USA, Russia, Spain, Mexico, Argentina, Check Republic, Germany, Serbia, Croatia, Albania, Bulgaria … He’s current with his first collection “Ice Water” published 2011 in Serbia, and in 2014 issued in Macedonia, in the edition “Fires” for the publishing house “Antolog”, supported by the Ministry of culture. 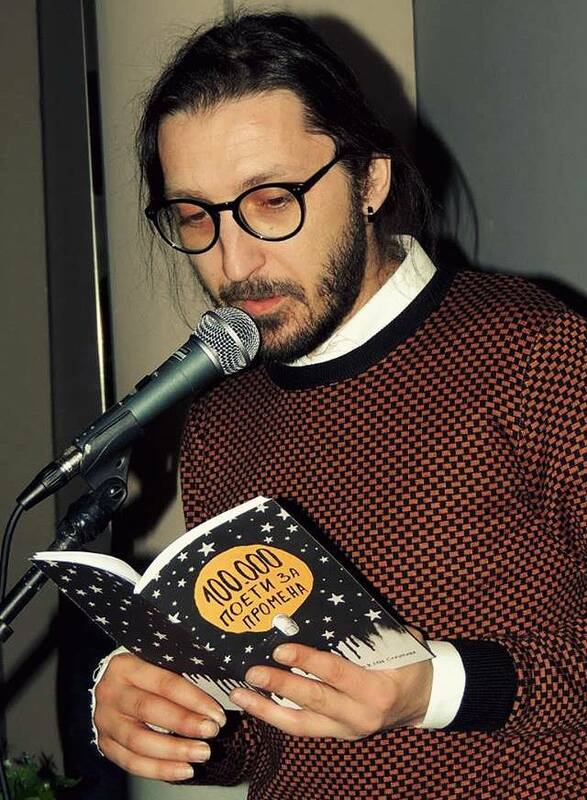 As conceptual artist with several exhibitions, installations, performances, scenery, short movies and multimedia projects he participated in few international group exhibitions and projects in Macedonia, Serbia, Bulgaria, France, Norway and Italy. 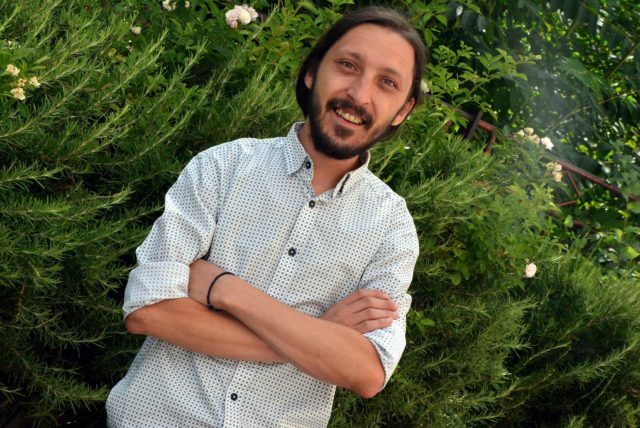 President of the Association for cultural development and protection of cultural heritage “Kontext – Strumica” and organizer of the international movement and festival “100 Thousand poets for change” in Macedonia, Strumica. CEO & founder of the internet portal strumicaonline.net and one of the editors at the ezine for culture and literature reper.net.mk. 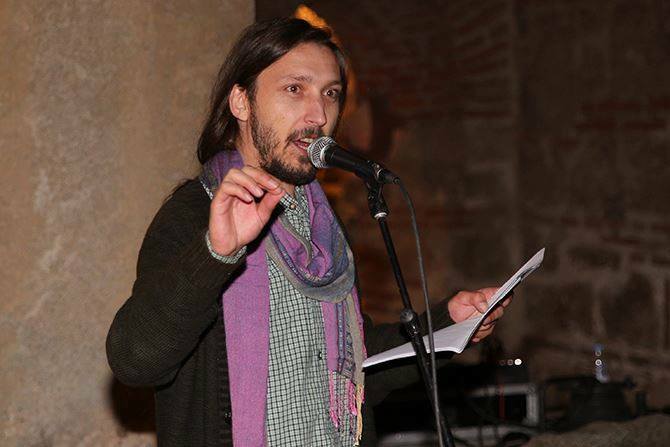 He organize many other cultural and art events, collaborating with youth, art, film and theater festivals. As youth trainer provides different creativity workshops as: forum theater, multimedia, design, stick art, street art, graffiti, use of organic and recycled materials in contemporary art, handmade and social aspects as PEER & non-formal education, EVS, youth participation etc..
With our game – you started it! The desire to change something – Hurry up! We are all a ‘but’ in the wrong theater. What happened to true values? The Lost Sane Attitudes Department lately. As that should make the new freedom! Will they be grand or swallowed by fevers? Scream out all that bothers them. – and then we continue with self-destruction. A silent echo has burst. They strike like heavenly boulders? Yet our dulled hearing needs to wake up! And battle quietly for their hidden lives. Trapped, lonely, not shown, framed. Of a woman spinning yarn as her wool is coming to an end. And resurrect the enchanted souls. Probably all spine issues are gone. They won’t even cough anymore? ако не и цел живот..
повторно некогаш ќе ни ја загади радоста. и ќе ги ставам во машина за перење. на сите им треба перење и тоа – заедно. 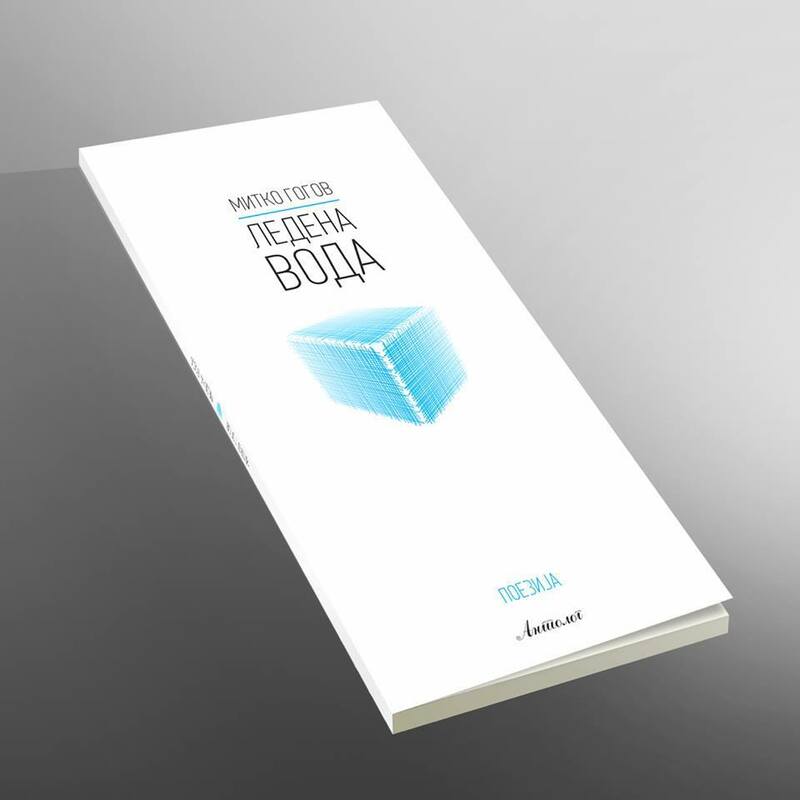 со ист прашок за перење и ист омекнувач. оти тоа би требало да биде новата слобода! – освен оние најдени на брегот. ќе станат ли и тие големи или јанѕата ќе ги изеде? сѐ она што му тежи на душичката. сакаме да бидеме цреши, а црви сме, скриени во нив. – ќе продолжиме да се уништуваме.